Cast Cobalt Alloys & Cobalt Based Investment Casting | Milwaukee Precision Casting, Inc.
Because of the high cost of Cobalt alloys, Milwaukee Precision Casting, Inc. produces cobalt based castings with minimum or no machining, holding typical tolerances of +/-.005" per inch. Don't leave that expensive material on the floor in chips due to unnecessary machining. Looking for exceptional wear resistance, oxidation resistance up to 2,100 degrees (F), or high strength up to 1,500 degrees (F)? 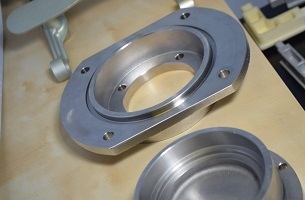 Milwaukee Precision Casting, Inc. should be your source for Cobalt-based casting. Using the investment casting process, we produce Cobalt castings in most grades of Cobalt alloys. Please contact us and let us know how we can serve your Cobalt-based casting needs. The industry standard linear tolerances for any investment casting process are ±.005 per inch of length. Effective part configuration is the critical element in achieving strict tolerances for investment casting parts.